Young and the Restless: Mal Young Runs From Fans on Social Media – YR Boss Can’t Take the Heat? The Young and the Restless showrunner Mal Young seems to be running and hiding from fans on social media. The UK head writer and executive producer has many furious because he dismantled legacy families and brought in tons of newbies while sidelining fan-favorites. His strategies aren’t working since Y&R is in 11 straight weeks of record-low ratings. Now it seems the head of the CBS soap has gone social media silent on anything to do with the show. Is he hiding from angry viewers? Could be. It’s been since August 27, 2018 (more than two months) since Mal Young last tweeted about Young and the Restless. You can see that tweet below. It came after Christel Khalil, who plays Lily Ashby, announced she was dropping to recurring at her request. And we just watched what could be some of her last scenes as Lily decided to move to a far-away prison. This could be another silent exit even though she’s supposed to be dropping to recurring. There was no mention as Judith Chapman left as Gloria Bardwell to no mention or fanfare. Instead, there’s some random Millennial at her desk trying to get fans to care about him. It’s no slight on the actor, who seems talented, but that newbie, by sitting in her chair, is trying to fill some legendary shows. Young and the Restless viewers loved Glo and she was silently shown the door. There were no tweets on her departure or that of Paul Williams (Doug Davidson). And as for Ashley Abbott’s (Eileen Davidson) exit, he fibbed to fans. Fans just saw Ashley Abbott pack her bags and go to Paris, along with Jabot’s patents, as Eileen Davison left the show. Mal Young said she wasn’t leaving The Young and the Restless for good, but Eileen made it plain she’s gone gone gone. She said she’d come back for a party or special event only. She Knows Soaps also reports that Young’s statements are inconsistent with what Eileen said. Some think Mal Young fibbed to try and stop more fan furor. Why else would CBS Daytime shoot a farewell video (see below) for a character that’s not really leaving? Mal Young tweets often, just not about the show. What does he promote? Cat videos, cat photos, and things about Miss Beehive (his partner who’s a successful singer). That’s what’s on his social feed. Prior to August and the uproar over legacy character exits, the showrunner and head writer was tweeting several times a week about Y&R. Then he stopped interacting with fans and began focusing almost solely on cat content. See the slideshow above to view Mal Young’s Twitter activity compared to other soap showrunners. Mal Young Invited Y&R Fans to Interact Then Shunned Them! 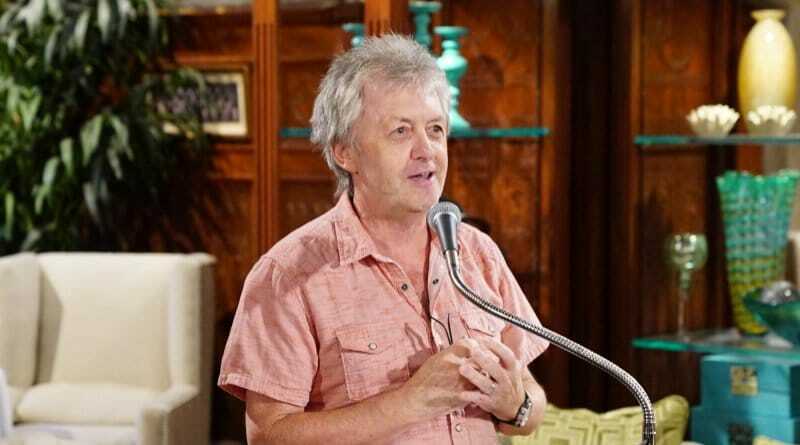 In an interview with Soap Digest, Mal Young said that he loves “fantastically vocal” fans and wants to hear from Y&R viewers. He told the soap mag, “If they weren’t vocal, I would worry, because their opinion counts”. As a Young and the Restless viewer, given what’s going on with the CBS soap, do you feel your opinion counts right now? Young also said, in the same interview, that he wants to honor the show’s legacy yet how many are now gone? And the recycled storylines keep going. Check out the response above to his last Y&R related tweet on Christel’s drop to recurring. Given what Mal Young’s audience thinks of how he’s treating their show, do you think he still wants to hear from them? 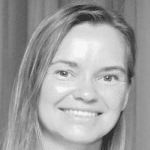 Mal Young’s silence on Twitter is deafening. Yet even the parade of kitties isn’t stopping angry fans from piling on. The tweet above is a fan chiming in on one of Mal Young’s feline follies. The bottom line is, as long as he’s got a Twitter account – Mal Young can run, but he can’t hide from Young and the Restless fans. Check back with Soap Dirt often for all the latest Young and the Restless spoilers and news. 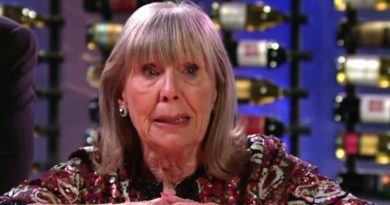 ‘Young and the Restless’ Spoilers: Dina Mergeron’s Health Declining – Fall Sweeps Shocker?